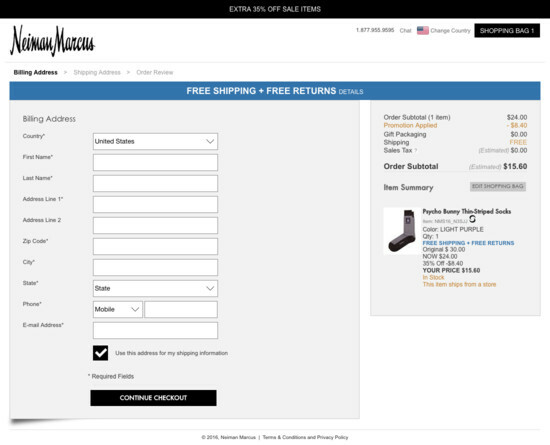 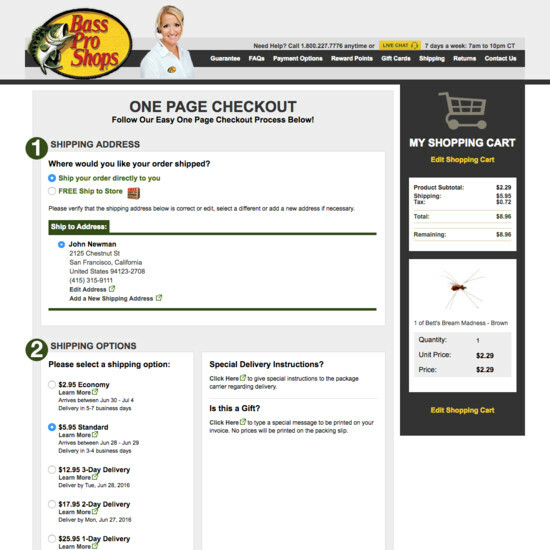 For most B2C sites, the majority of users typically order products to be delivered to their own address. 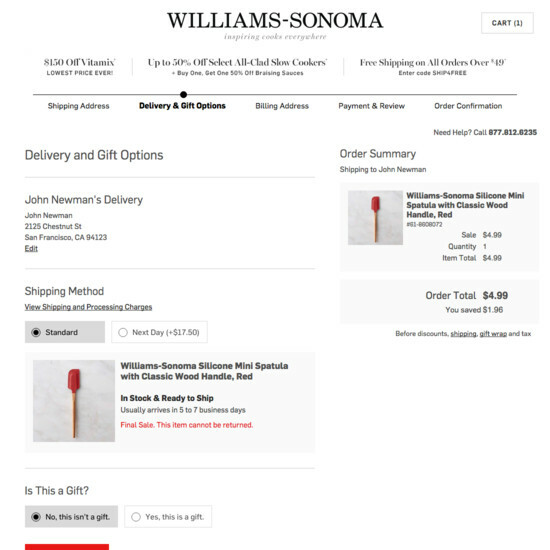 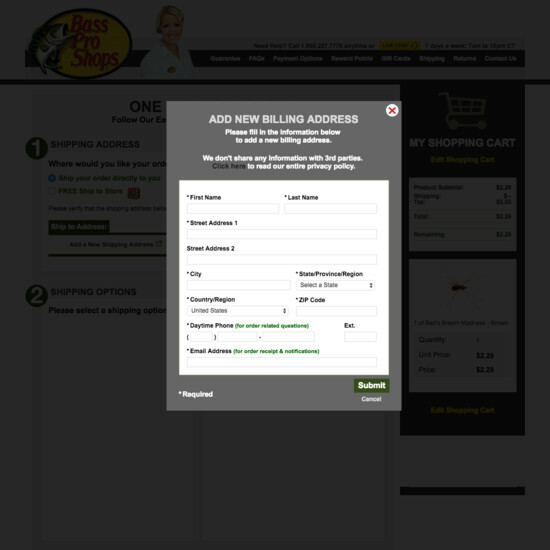 During all our checkout usability testing, setting the “Billing Address to equal the Shipping Address” by default has shown to perform vastly better than either not having the “same as” feature or not having it as a default selection. 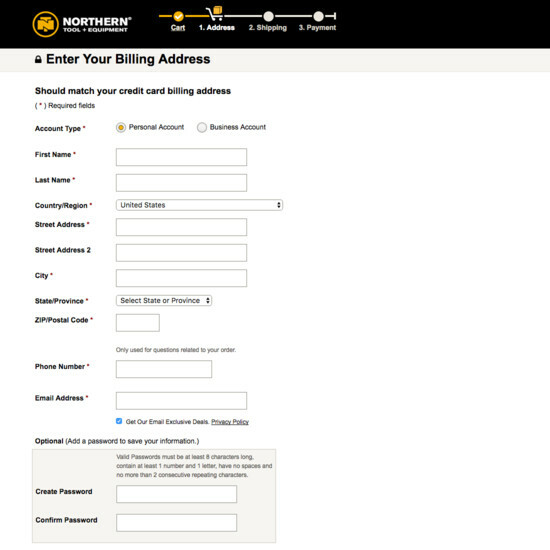 Defaulting the billing address to be the same as the shipping address should not just prefill fields but should rather hide the billing address fields entirely. 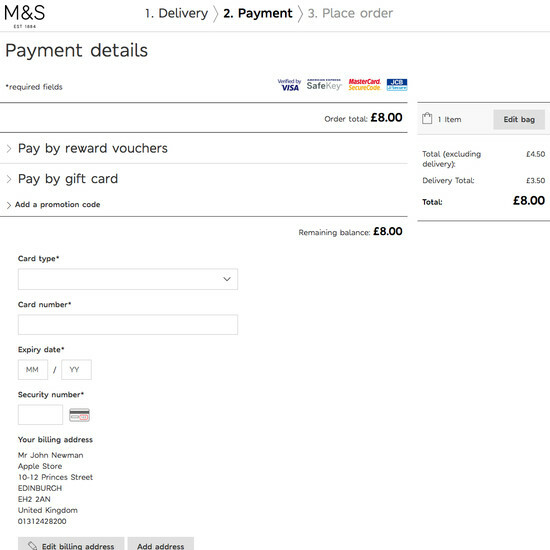 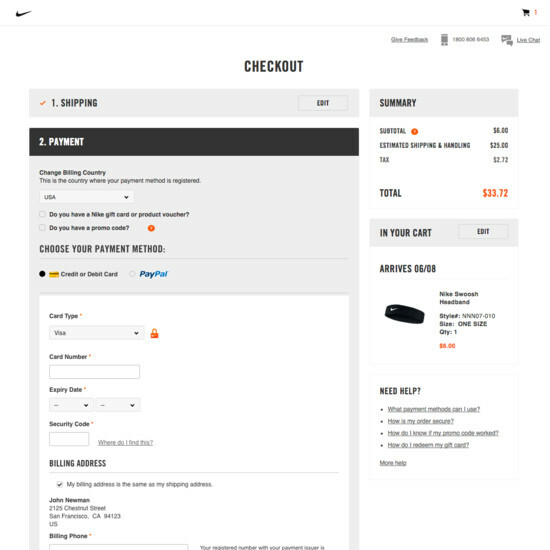 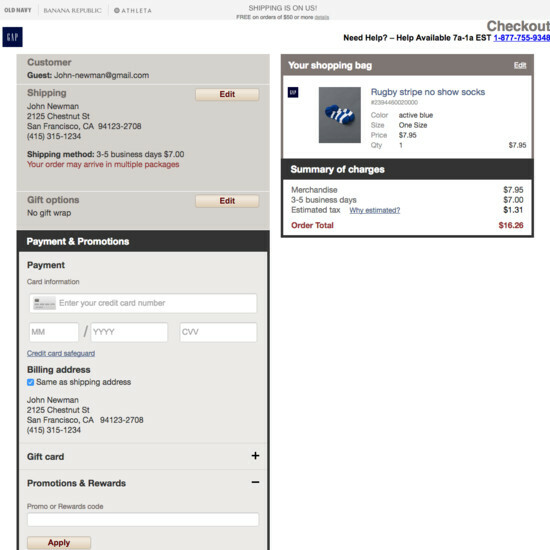 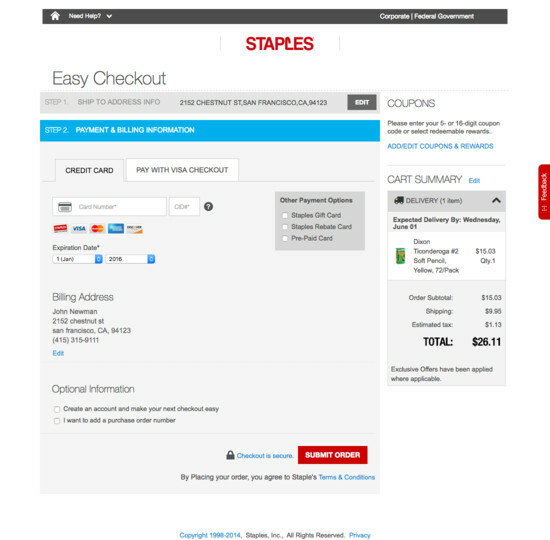 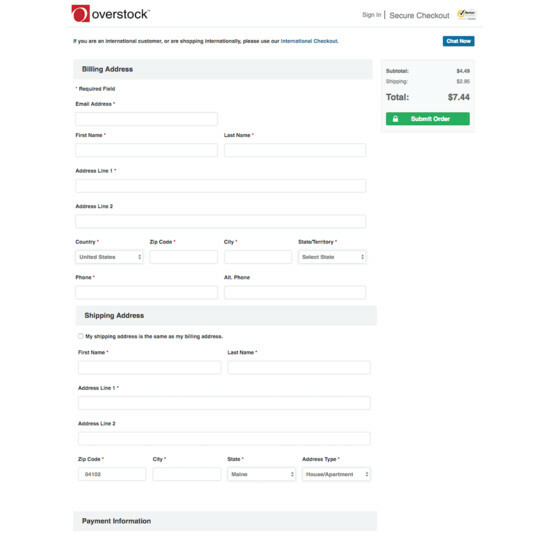 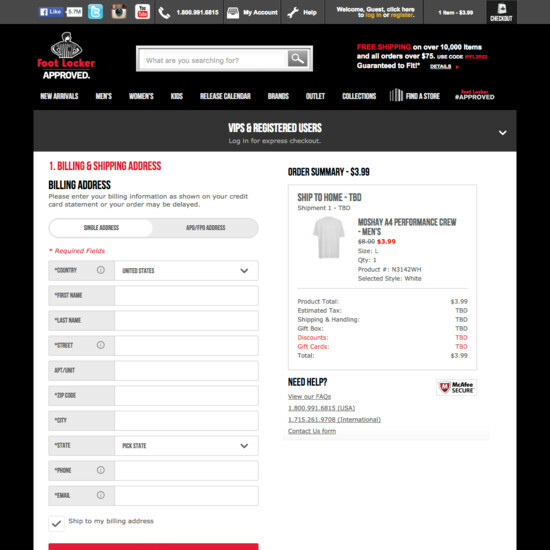 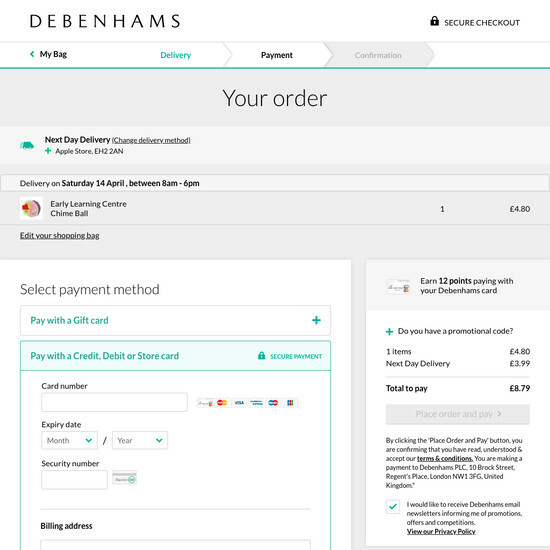 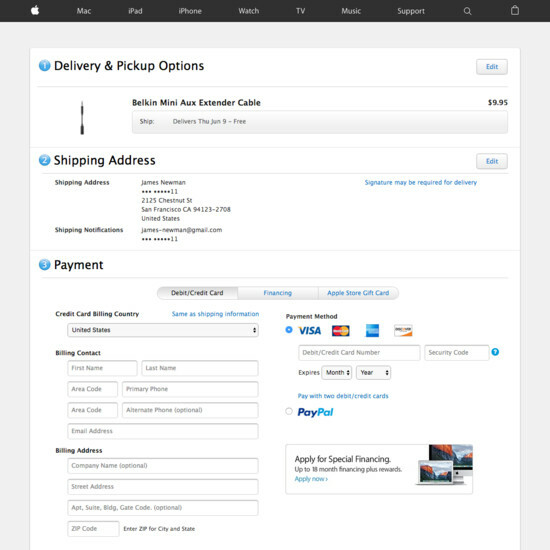 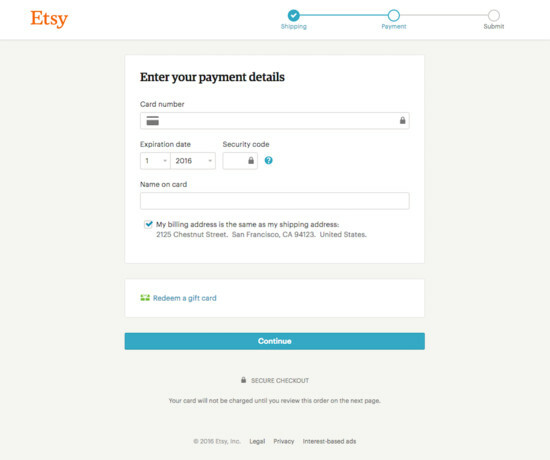 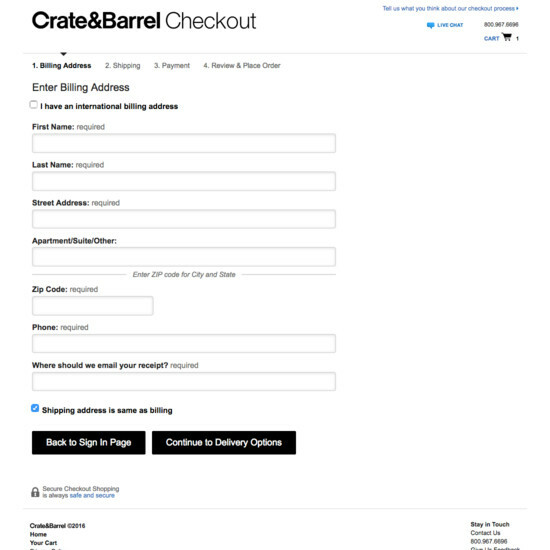 This will reduce the amount of form fields show by default in the entire checkout flow by 30–40%. 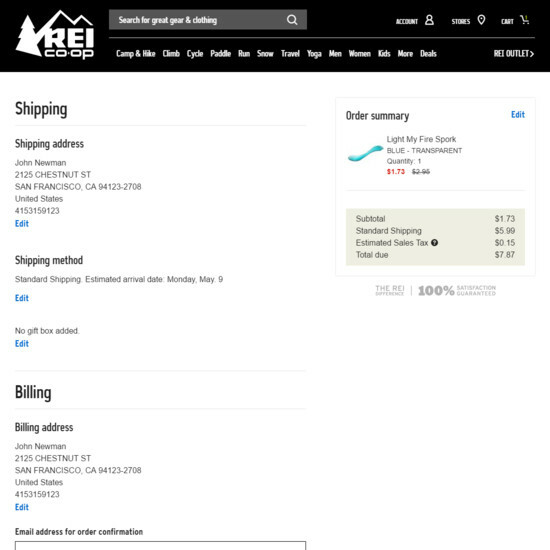 Despite the importance, 14% of sites still don’t default the two addresses to be the same, and another 8% don’t hide the billing form fields when they are the same. 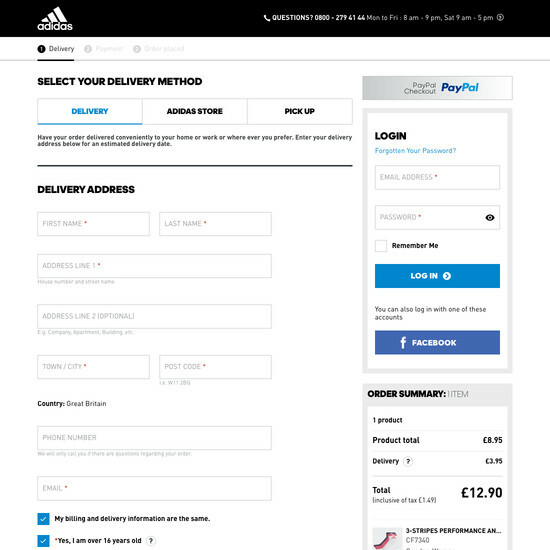 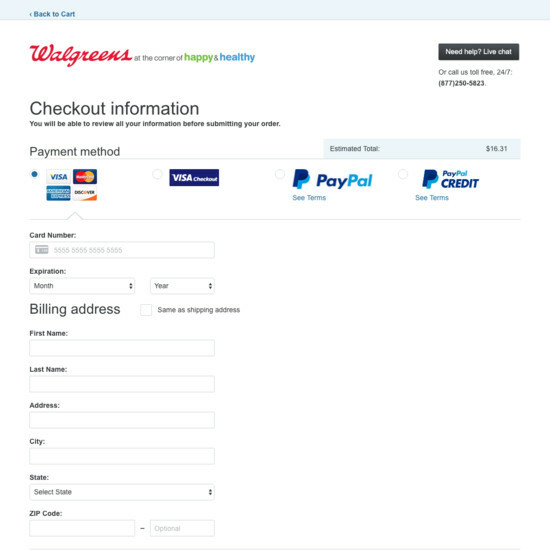 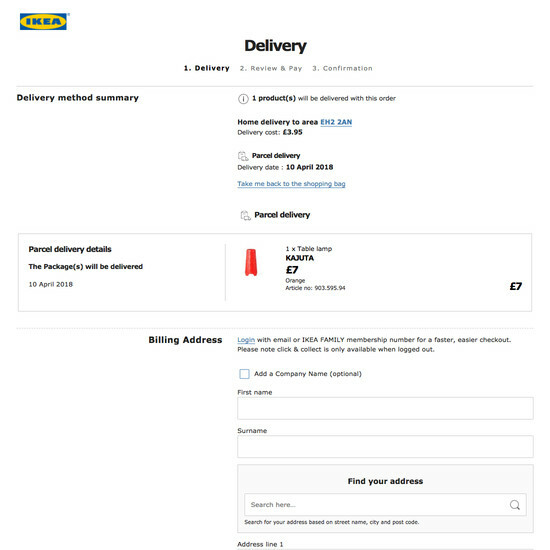 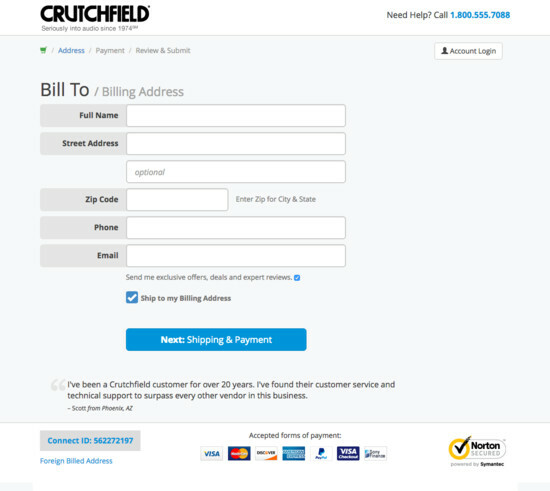 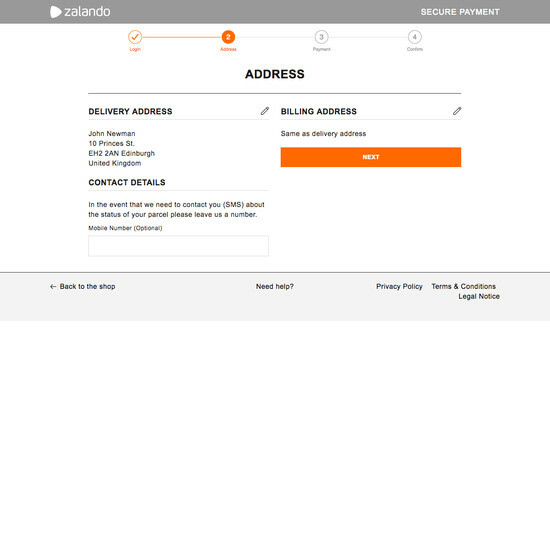 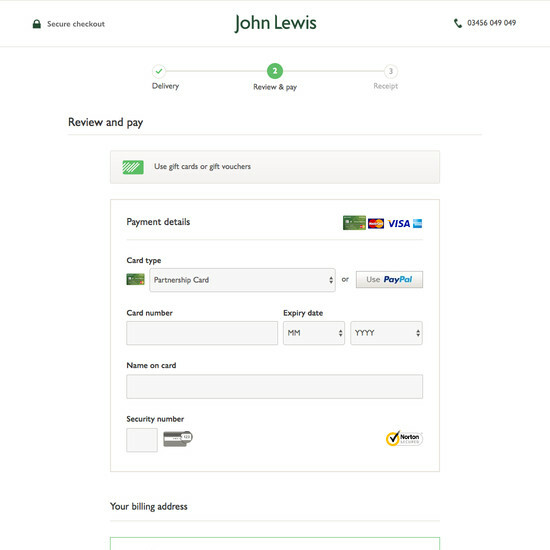 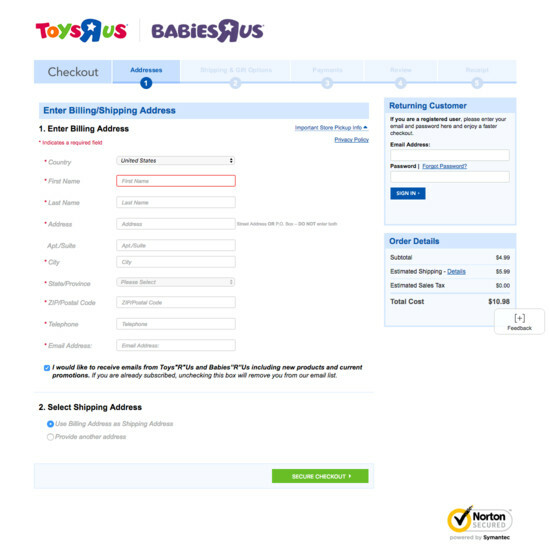 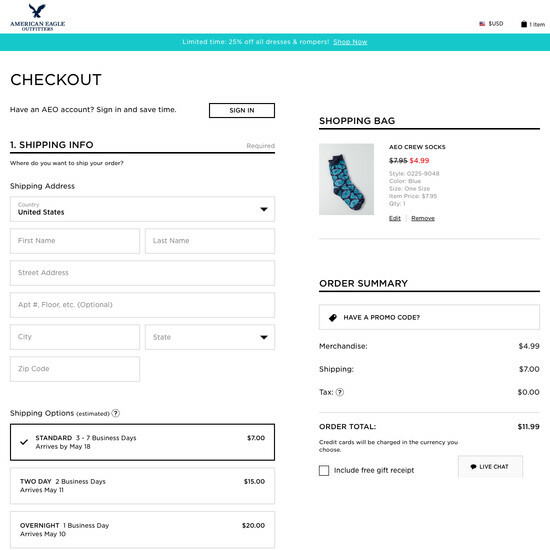 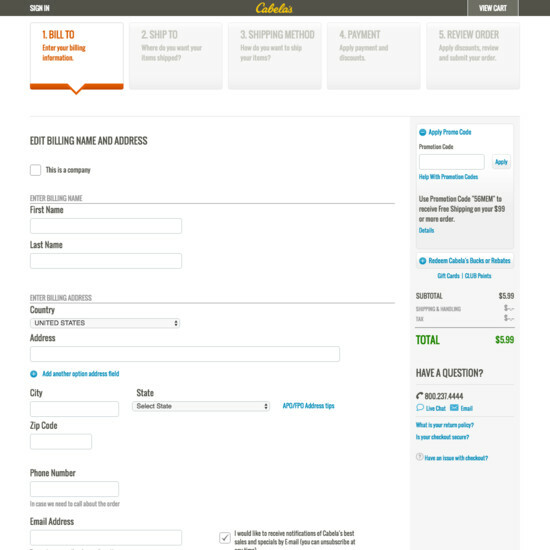 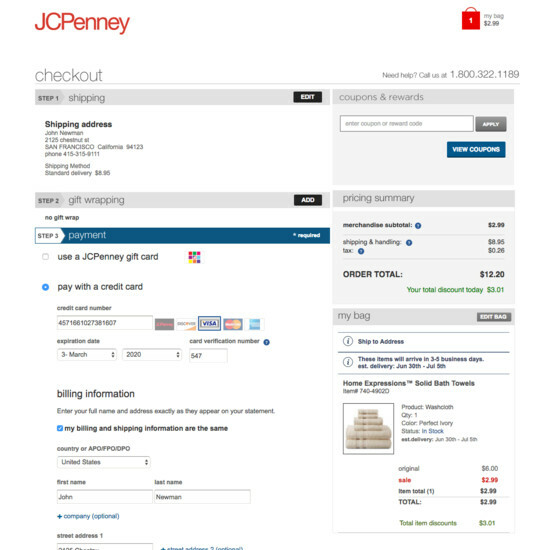 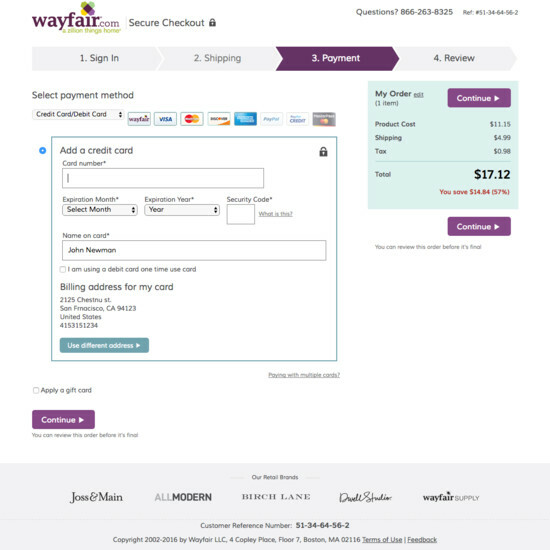 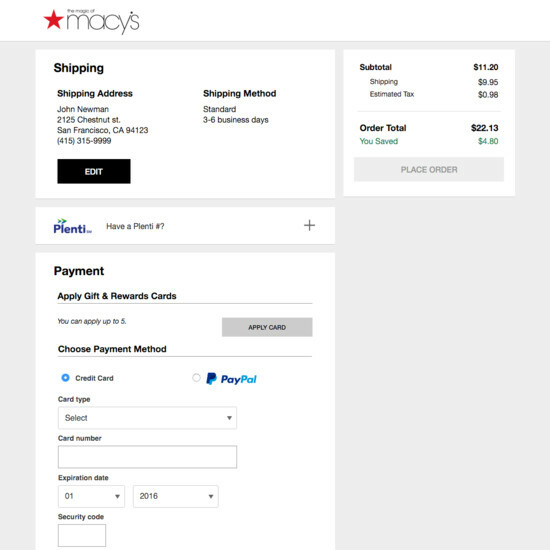 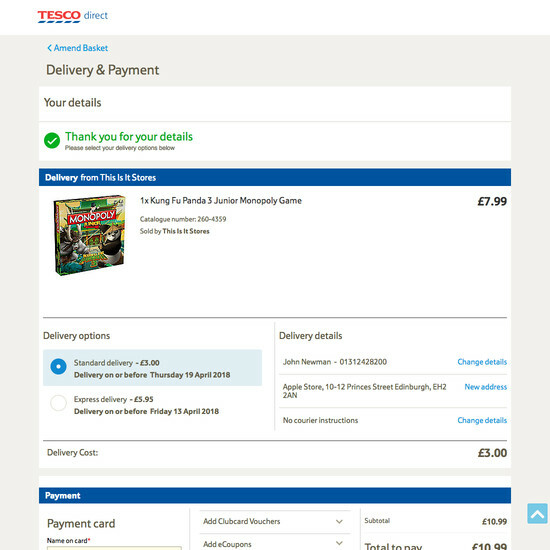 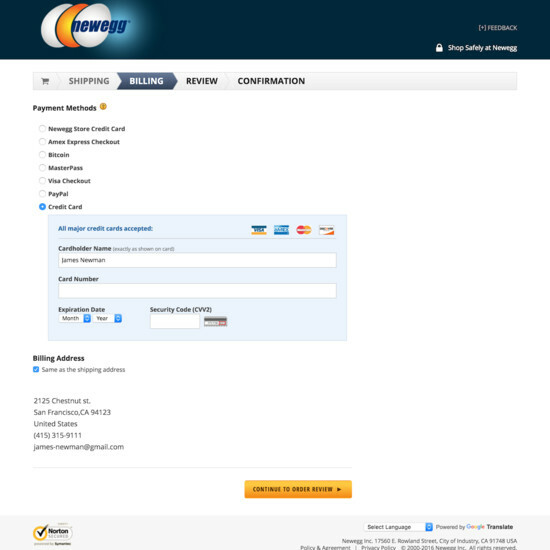 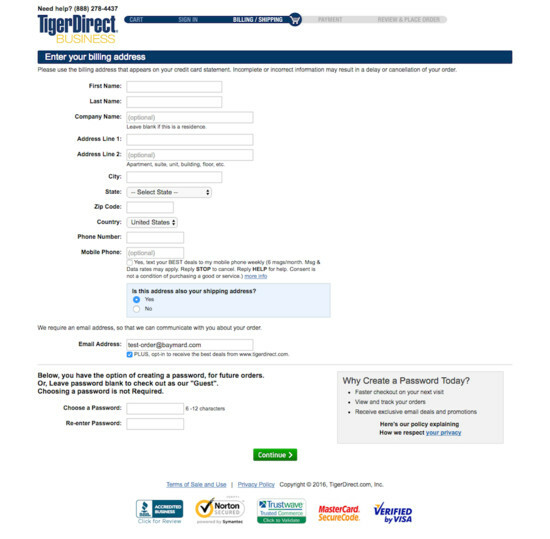 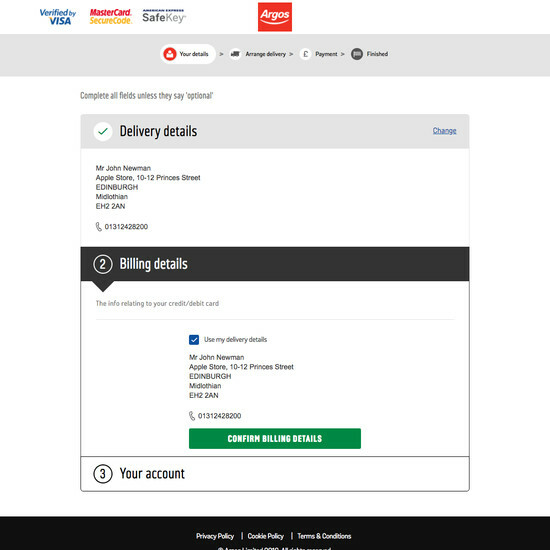 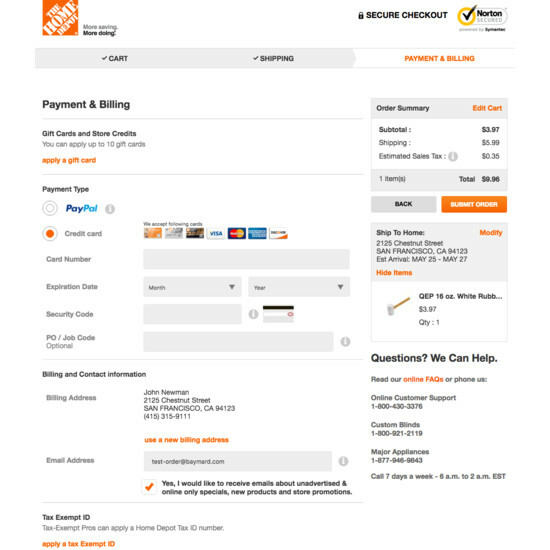 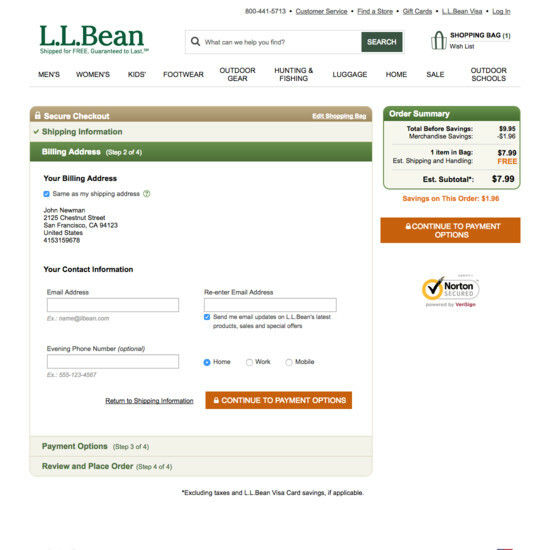 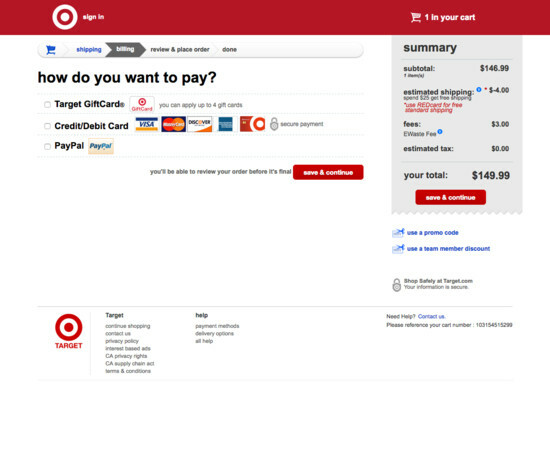 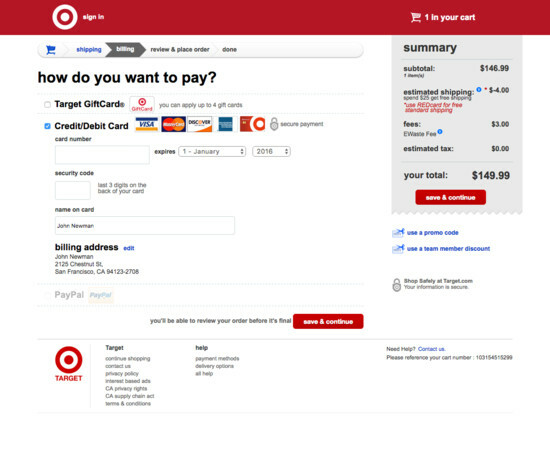 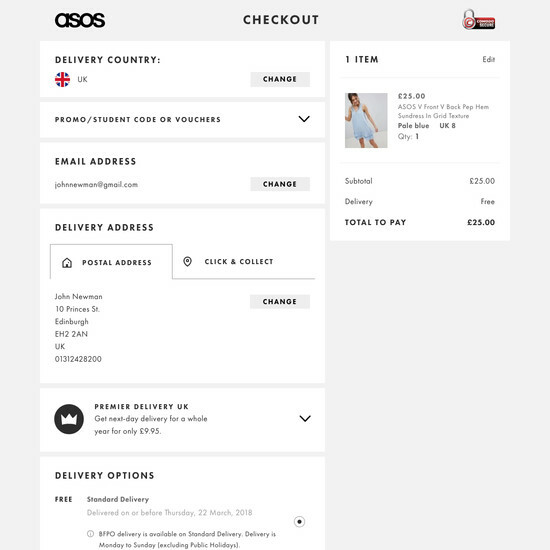 Learn More: Besides exploring the 38 “Billing Address” design examples below, you may also want to read our related article “The Average Checkout Flow Has 14.88 Form Fields – Twice as Many as Necessary”.